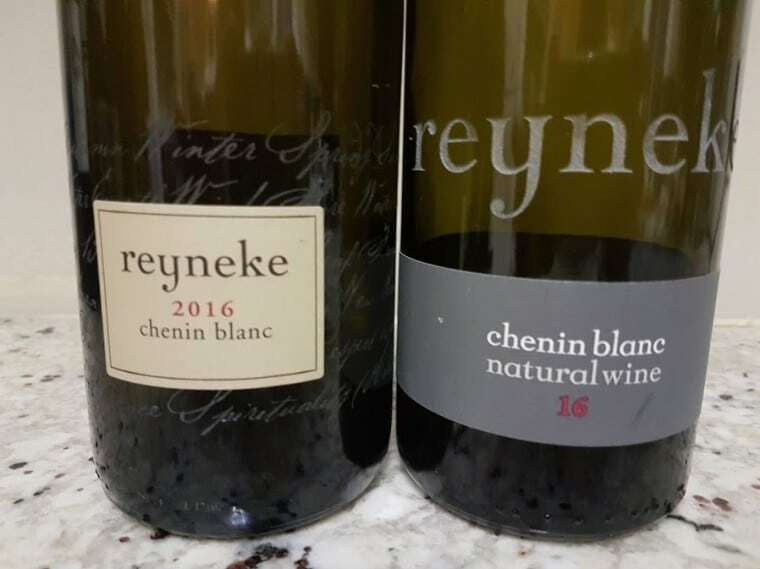 The Chenin Blanc from biodynamci producer Reyneke Wines in Stellenbosch has always been top notch but In 2016, Stellenbosch grower Johan Reyneke and winemaker Rudiger Gretschel made two versions of the variety, the standard label as in previous years and a so-called natural wine which saw no sulphur dioxide at bottling. In the past, a single 5ha vineyard planted in the 1960s has supplied grapes for the property’s Chenin but in 2016, the crop was a tiny 1.7 tons and most of this went to the natural wine. To make the standard label, meanwhile, a nearby vineyard undergoing organic conversion was also used. Matured in a combination of older barrels and 2 500-litre foudre. A wonderfully complex nose with top notes of hay, fynbos and fennel before lime, peach and apple. The palate is extraordinarily pure with exhilarating acidity and a pithy finish. Quite lean (alcohol is just 12.5%) but this suits the wine – a particularly stylish rendition of the variety. Matured in second-fill 300-litre barrels. A top note of potpourri before peach and apricot, cut apple, yellow earth and slight sour dough note. The palate is intense but not weighty, very flavourful and long. That said, it’s seemingly not as snappy as its counterpart above. Previous articleTim James: How seriously to take very light reds?